7Sultans was one of the first Fortune Lounge casinos listed in the Casinomeister accredited section dating back to 2002. Since then, there have been some dramatic moments, some good, some bad, but the most important thing is that this casino has stayed the course for going on 15 years. This is a downloadable Microgaming casino and is part of the Fortune Lounge Group, Fortune Affiliates, and owned by Digimedia – the largest Microgaming casino company. They have been in business since 1999 and have been accredited since 2002. Since they have been in the business for 17 years, they have had their share of drama – once involving them being placed into the rogue section in 2007 for erroneously negating the winnings of advantage players during a botched promotion. They corrected their mistakes and all was forgiven – and then they were eventually re-accredited. Their customer service, which is located in South Africa, is well trained and we seldom receive complaints. Their forum representative, Fortune Lounge, has been the same bloke for over 13 years. He received the Casinomeister Casino Representative Achievement Award for 2015. This is an indication of stability at the home office – which is a reflection of fair treatment and longevity in the online casino business – an observation that should not go unnoticed by both players and affiliates. They treat their loyal players quite well – they have an outstanding VIP and player loyalty program. We have some players who have been playing there for years. The downside is that their payments could be a bit faster. And there is a weekly withdrawal limit of $5000 dollars. Other than that they are pretty much good to go. Tell us what you think at Casinomeister. Since they have been in the business for 18 years, they have had their share of tumultuous events – once involving being them being placed into the rogue section in 2007 for erroneously negating the winnings of advantage players during a botched promotion. They corrected their mistakes and all was forgiven – and then came back into the accredited section without any difficulties. Their customer service, which is located in South Africa, is well trained and we seldom receive complaints. They were awarded the Best Casino Group of 2003, and their forum representative, Fortune Lounge, was been the same bloke for about 13 years. He received the Casinomeister Casino Representative Achievement Award for 2015. This is an indication of stability at the home office – which is a reflection of fair treatment and longevity in the online casino business – an observation that should not go unnoticed by both players and affiliates. But he is gone now, and they have lost interest in being listed as an Accredited casino. They no longer participate in player communities like Casinomeister, and it you have a complaint, you need to take it to eCOGRA. But that being said: they treat their loyal players quite well – they have an outstanding VIP and player loyalty program. We have some players who have been playing there for years. The downside is that their payments could be a bit faster, and that they have a weekly withdrawal limit. 7Sultans Casino has the full Microgaming package of downloadable games: over 700 games. This means that players not only have some of the best slots online, but unrivaled Video Poker. If you are a Video Poker fan like myself, you will truly appreciate MGS video poker games. 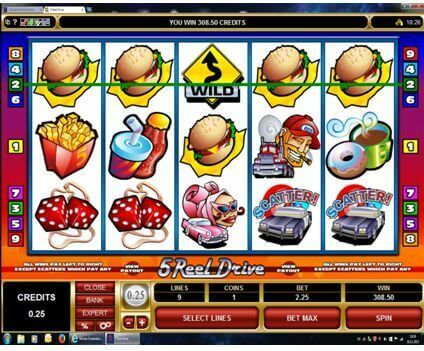 They include 54 video poker games, many of which rival the best land based slots like Multi Strike Poker. And then they have Progressive Video Poker! Available 24 hours a day, every day of the year. The call is free if you are calling from within the same country. Mobile calls are charged at standard operator rates. Standard international rates apply. 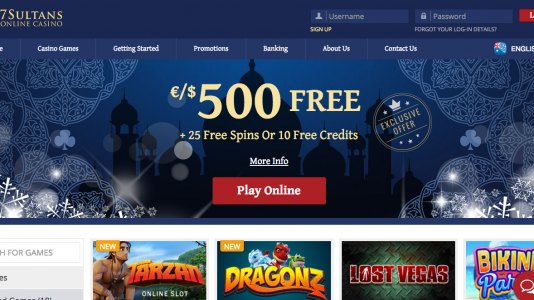 7Sultans has an awesome history going back to the early days of online gambling. But these past few years they seemed to have lost the desire to be player facing, involved with our community, and responsive to remarks or complaints. It is really a shame since at one time, Casinomeister and Fortune Lounge had an awesome relationship. Now they are just another name in the pile of MGS casinos.